In recent years the buzzword “all electric” is becoming popular, which refers to kitchen appliances, water heaters, and other devices in the home all being supplied with electric power. Along with this, demand is growing for IH (induction heating) cooking heaters as a safer alternative to gas ranges. IH cooking heaters use large currents to generate strong thermoelectric power that is converted to heat. 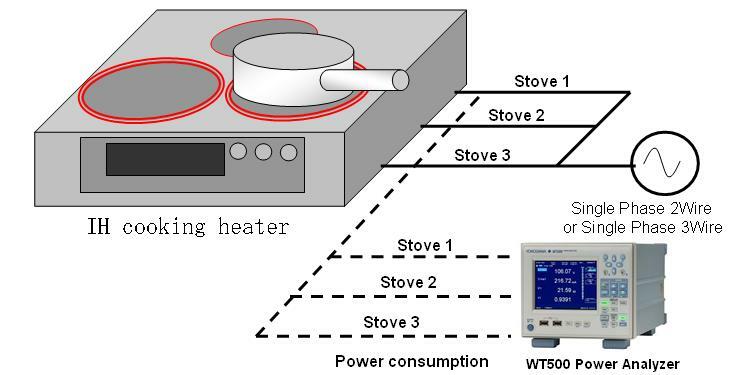 The large current flowing in an IH cooking heater can be input directly to the WT500 without the need for current sensors or other devices, allowing measurement of voltage, current, power, waveform distortion (THD), and other parameters. 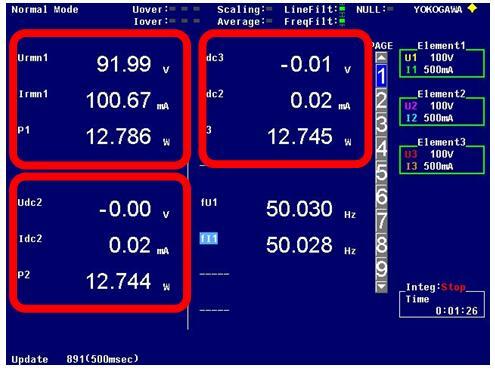 Measurements can be taken at intervals as short as 100 ms, allowing for high speed acquisition of power data on manufacturing lines. Because the WT500 can accept input on 3 channels, you can measure voltage, current, power, and distortion (THD) on up to 3 separate heaters. You can also measure total power consumption, current consumption, and other parameters on the DUT simultaneously, making it convenient for a variety of evaluation tasks. 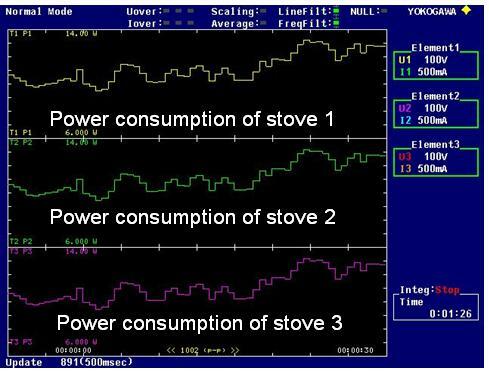 Displays trends of power value fluctuations for each cooking range. * As the WT500 has a frequency band of 100 kHz, the measurement error of impedance signals can be large at higher speeds than this. In such cases, we recommend use of the WT1600 or WT3000. 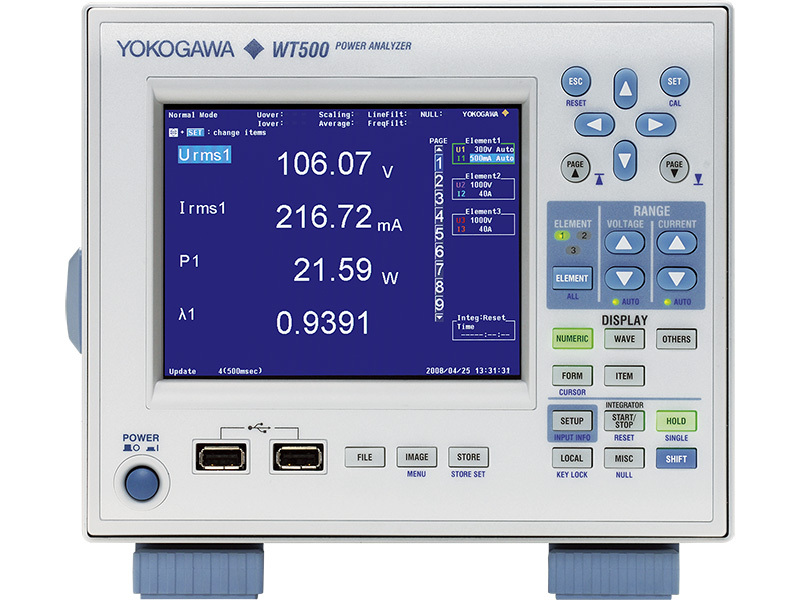 High accuracy measurement for power consumption. Set particular items at the specified position on display screen.